We have just completed our annual upgrade of studentcentral and this post details some of the new features you can look forward to in 2018/19. You may notice some subtle tweaks to the look of studentcentral, but importantly this new ‘theme’ makes studentcentral mobile friendly. This has been something students and staff have been feeding back to us for a little while so hopefully this will ensure easier access for everyone. We would however still recommend that staff who are adding/editing content do so on a PC/Mac as you will find this easier. As the site is now ‘mobile-responsive’, when you access a study area on your smartphone or tablet, the area menu slides away to allow easier navigation. To reveal the menu, simply tap the arrow button. Last year, we added assignment submission receipts for studentcentral assignments. As an extension of this, students will now receive a copy of that receipt via email, and they can also access these receipts from within studentcentral just like Turnitin submissions). This ensures better parity between the two tools and should make students and staff feel more at ease when using studentcentral assignments. A wider, electronic (card scanning) attendance monitoring solution is in development which will provide a standard solution across all teaching spaces. All newly triggered 2018 module instances have our new blue, accessible colour scheme. A new ‘Past Exam Papers’ link has been added in the Study Material area where past papers are made available. 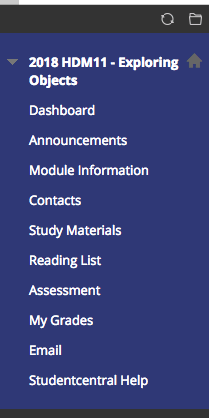 This automatically links to the new staffcentral School sites library for past papers. 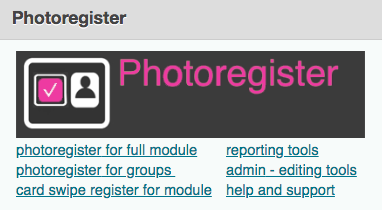 The contacts page will now include staff photos alongside staffcontact details. Staff who wish to change their photo can do this through the link at the bottom of the studentcentral Home tab. Default text in content areas has also been updated to help students understand key documents such as module specification. Thanks Craig. Looks so much better! Welcome to the 21st century, Blackboard!